I find debates on objective reality not in the least useful, because eventually you arrive at the question whether all of the truths on which we base ourselves are true. And the answer has to be yes. Even if the truths we hold true would be false, believing so is clearly no option. Taken to the extreme: we may be living in a simulation, but believing so clearly is no option. We have to believe in the truths we tell ourselves to be true, because we base our judgement on them. Those are the truths that make us, and if we were to stop believing in those — if we’d question our subjective reality — we’d have no identity, no sense of self. This is why empathy for different cultures is so difficult, because even when we tell ourselves we are emphatic — even when we think we are open to new experiences — we still don’t really believe other truths. In order to do so we’d have to question our own truths, which would challenge our believes and identities. It’s very difficult to believe in two conflicting truths at the same time (James Sowden writes about it in ‘Unlearning me‘.) Instead, it’s way easier to look at a foreign culture like it is a curious gem, to observe it from all sides, except from within. To admire it or laugh at it. To observe like you would observe an animal in a zoo. But not really try to understand it, and really challenge our truths. What is the norm, what’s normal? The answer is easy: when you’re at home. And tourists in China are not at home. And you could argue many expats aren’t either — either located in expat suburbs or wearing headphones to blur out the noise. To be fair, when I was much younger (and more foolish) I met a Chinese teenager in Sydney, Australia — and I thought it was pretty funny that he invented his own name: James, because he liked James Bond. But I did not try to understand why James himself was logical in an English speaking environment. I just assumed my default. These are just two practical examples, but the differences dive into many other topics. 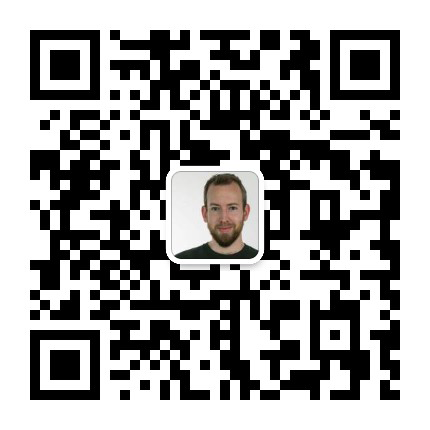 What saddens me most are the Westerners who have never set foot in China, who judge from their Twitter and Reddit accounts. Vast nuances are reduced to black and white absolutes. There is no real attempt at understanding. I’m fortunate to have been brought into a Chinese family, as it has made me understand Chinese culture, and question it, as well as my own. Even though I’m not in full understanding. Language is your country and I do not speak it (yet). What I want to say is that when you open the door and try to look from within, you see it’s marvellous and your world becomes much larger. China is not weird, it’s just wonderfully different. A picture of a memory that brings a smile to my face. 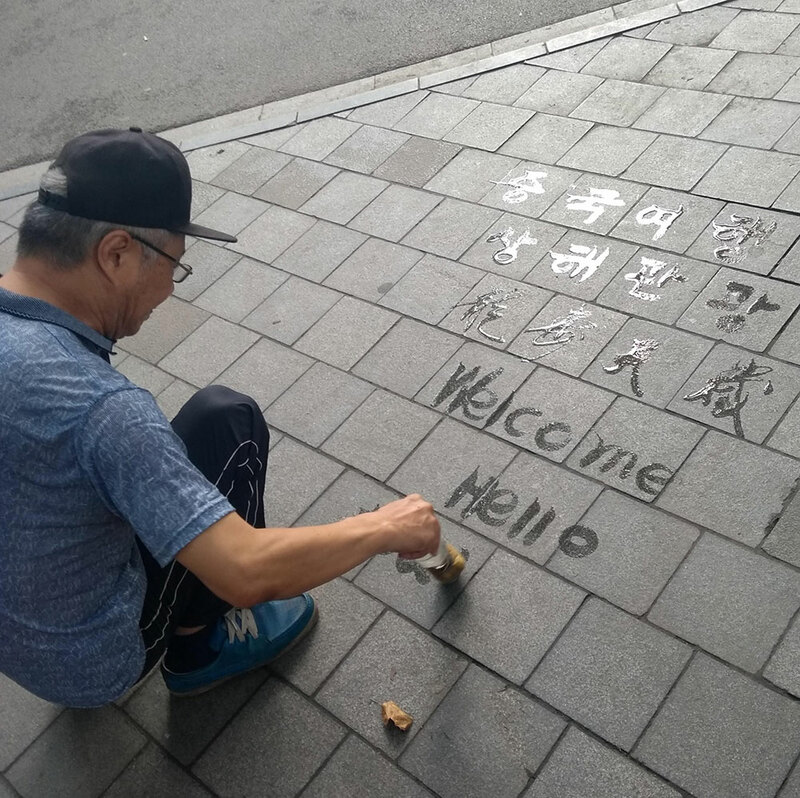 A friendly calligraphist in Luxun park, Shanghai.